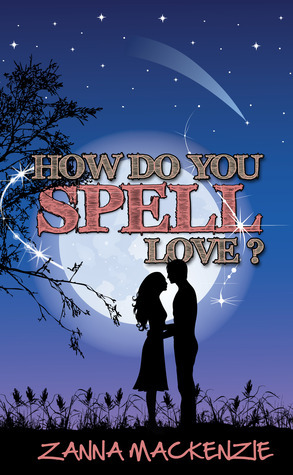 Title : How Do You Spell Love? I enjoyed reading this romantic tale with a bit of magic. I have no idea of what a ‘witch’ might need to create a spell but those described by Zanna Mackenzie seemed very plausible. The novel flowed easily with a nice relaxed style. I enjoyed getting to know Kat, her friends, her boyfriends and her daily situation. The circumstances were realistic, and a constantly good pace keeping my interest as I read on. The intermingling of relationships can sometimes be delicate for a while and that theme was nicely portrayed. I loved this book! The main characters, Kat and Summer, are women I'd be sure to be friends with (and will miss!) and their stories were intriguing, romantic and wonderful entertainment. There's also an element of the supernatural and magic which is believable and just endears you to the story all the more.A wonderful, lovely read...recommend it to all those who enjoy a romantic tale! I pick up the odd chick-lit book now and then. It’s nice to have a break from all that heavy and often depressing literary stuff – with a book in this genre you know what you’re getting. Girl meets boy, girl doesn’t like boy because boy is bad, actually he’s not bad after all, girl is falling for boy, girl pursues boy and girl gets boy. Books by Jenny Colgan and Sophie Kinsella are particular favourites. The strength of these authors is their light humour, and unlike some other chick-lit books, they don’t try to be knowledgeable about love and heavy on the morals.How Do You Spell Love? by Zanna Mackenzie, however, has but a light sprinkling of humour, so, you may ask, why did this book appeal to me? Well, firstly I’d draw attention to the fact that the novel has a real cosiness about it. The set-up is simple, the people likeable and we find ourselves returning to the same scenes many times – Summer’s flat, Kat’s house, the charity shop, the allotments and the building site. The magic stuff adds an extra flavour too – it’s really quite interesting, learning about the mystical properties of crystals, lunar calendar traditions, etc, and it’s written with a lot of knowledge and detail. But the main reason that it’s a cut above most chick-lit books (at least for me) is that rather than only being about romance, there’s also a very real sense of the friendship between the two main characters as they help each other through their problems. The conversations they have are in fact so realistic, it’s like you’re in the next room listening in.I have to admit now that I am slightly biased because I was involved in editing this work. But I wouldn’t have gotten involved in such a big project if I hadn’t been behind it all the way and it’s now a joy to see it in print. Things are not going well for Kat and Summer. Kat is trying to get over her long-term boyfriend leaving, while looking for her dream graduate job. Her friend Summer's relationship with her live-in boyfriend is on the rocks, and to complicate matters, she's a white witch and environmental protester on the side - and frequently drags Kat into her spare time activities.When Summer meets Tom, the town’s building planning officer and therefore the environmental enemy, and Kat meets Alex, the site manager at a local controversial housing development, will they each be able to reconcile their principles with the attractions they feel? I found Kat and Summer to be likeable female leads, and it was fun to follow the fortunes of two couples rather than just one, especially once Alex and Tom came fully into the picture. There were plenty of secondary characters and sub-plots to pep up the interest, and the writing style is easygoing and relaxed. An enjoyable read. A relaxing, enjoyable read about believable and likeable characters. I love Summer and Kat. Their relationship is exactly how best friends should be. The added layer of magic, describing all the ingredients makes this romantic tale diferent to others. And of course there's plenty to love about the love interests of both women. Cupcakes too! A perfect uplifting read whilst curled up on the sofa. Zanna Mackenzie - Zanna Mackenzie lives in the UK with her husband, 3 dogs, a vegetable patch that’s home to far too many weeds and an ever expanding library of books waiting to be read. Being a freelance writer and editor of business publications is her ‘day job’ but, at every opportunity, she can be found scribbling down notes on scenes for whatever novel she’s working on. She loves it when the characters in her novels take on minds of their own and start deviating from the original plot!Formerly a travel agent and therapist (she has qualifications in clinical aromatherapy, crystal healing, naturopathic nutrition and herbalism) she loves walking the dogs and gardening – that’s when she’s not writing or reading!